Even by the lofty standards of the Trump era, the past week in Washington has been chaotic. Just a few days after FBI Director James B. Comey stepped back into the political spotlight by publicly confirming the bureau’s investigation into possible coordination between the Trump campaign and Russian operatives, the president’s bid to rush his health-care bill through the House failed in spectacular fashion. As a result, the Senate confirmation hearings of Supreme Court nominee Neil Gorsuch received much less attention than they would have under ordinary circumstances. In light of Comey’s revelation, Senate Minority Leader Charles E. Schumer (D-N.Y.) and Sen. Elizabeth Warren (D-Mass.) called for delaying a vote on Gorsuch until the investigation is resolved. Some progressives went a step further. For example, MoveOn started a petition demanding a halt to all “legislation and appointments . . . until the American people learn the full truth about Trump and Russia,” a position that Rep. Ted Lieu (D-Calif.) echoed on Twitter. The impulse to hype the FBI investigation is natural. But it’s worth remembering that, even before Comey’s announcement, there were plenty of reasons for Democrats to do everything in their power to stop Gorsuch’s nomination from coming to the floor — starting with the fact that he was nominated to fill a stolen seat. 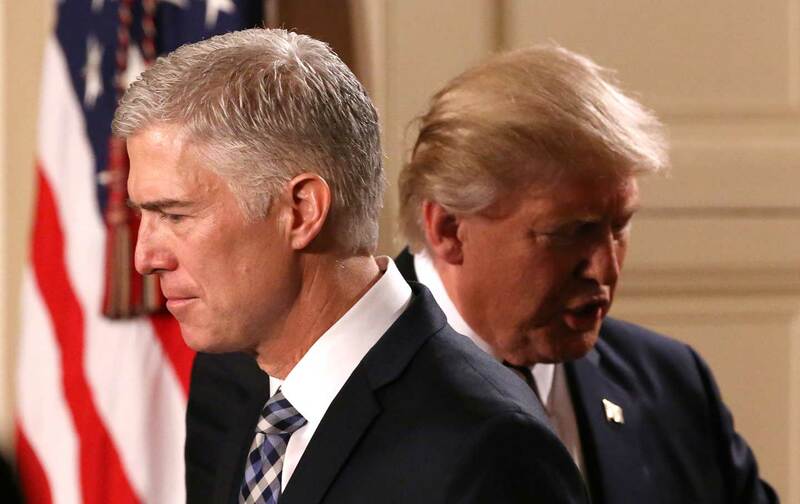 After Senate Republicans refused to even hold a hearing on President Barack Obama’s nomination of Merrick Garland for about 300 days, an unprecedented level of obstruction, there is no reason for Democrats to acquiesce to an up-or-down vote on Gorsuch now. They are right to fight back.